Sweet, sweet validation. Years of blood, sweat (and maybe even some tears) shed while bringing flexible one-way carsharing to North America has now been firmly validated. On these 26 pages sits the first-ever impact study of one-way carsharing ever done in North America. 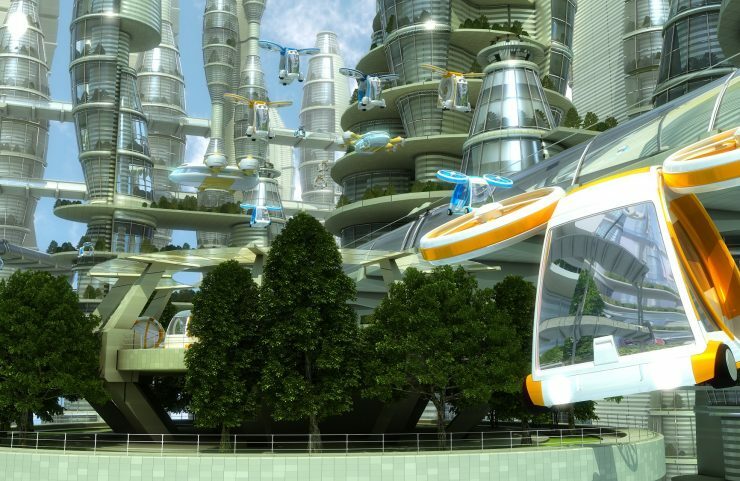 This study, conducted over the course of three years by the Transportation Sustainability Research Center (TSRC) at UC Berkeley, showed that car2go delivers very real and substantial benefits to the U.S. and Canadian cities we serve today, and holds tremendous promise for other North American cities still in dire need of mobility relief. Because the new UC Berkeley study is the first-ever multi-city study to focus on one-way carsharing rather than the traditional round-trip carsharing model others operate, it’s kind of a big deal. Especially for us at car2go. Why? 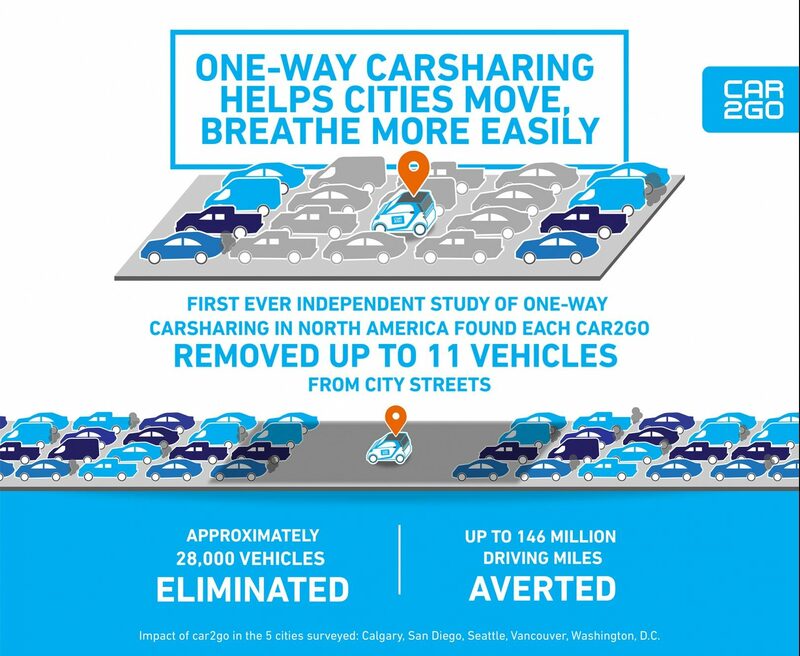 Because our “free float” one-way carsharing model is the most complex to operate, but we feel it’s the most convenient model for people who want to instantly and affordably get from point A to point B – and this study proves that. Our members deserve the best – so that’s what we give them, even though it’s exceptionally hard work to do it right. Speaking of our members, the study gathered and analyzed data from nearly 9,500 of our members residing in five different cities: Calgary, San Diego, Seattle, Vancouver, and Washington, D.C, and analyzed car2go activity data from each of those cities as well. car2go reduced the overall number of vehicles in cities, as well as vehicle miles driven. Each car2go vehicle took up to 11 privately-owned vehicles off city streets. That’s more than 28,000 cars gone from the five cities studied and up to 146 million driving miles averted! car2go cut urban air pollution by getting older cars with outdated emissions systems off the road. 74% of the vehicles reported sold by car2go NA members were at least 10 years old, and the average age of vehicles sold was 14.4 years old. 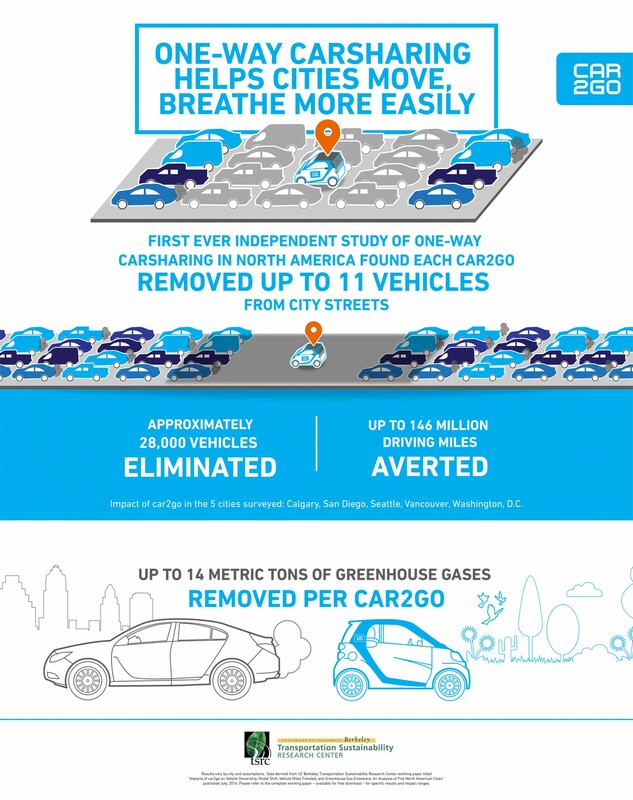 Each car2go removed up to 14 metric tons of greenhouse gases in the five cities. One-way carsharing integrates well with other urban mobility options to help cities move more efficiently. TSRC’s findings aren’t just huge validation for us and carsharing in general; they’re equally huge for the cities forward-thinking and courageous enough to recognize that their mobility issues could be most effectively addressed through a variety of innovative solutions. Solutions like the flexible, one-way free floating carsharing model we first brought to North America in 2009. It’s easy to forget, but just a few short years ago, the flexible one-way model car2go operates was a very radical idea (and probably scary to city transit officials). That courage has been validated. On a more personal note, the very real and positive impact car2go has on mobility and overall quality of life is what attracted me to work here. It’s so inspiring to be surrounded by incredibly smart, passionate and fun people all pulling in the same direction towards a really important goal that affects everyone. Those of us who work at car2go North America are far from alone. Perhaps best of all, more than 800,000 people – our members – agree with us, and more people are becoming members every day. Globally, car2go is rapidly approaching 2 million members (we’re at 1.9 million members today) who share cars to get around in 30 North American, European and Asian cities. When it comes to one-way carsharing, car2go not only does it better than anyone else, we do it bigger than everyone else, too. 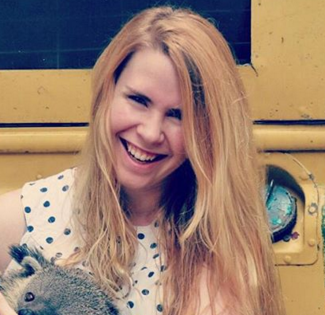 Not surprisingly, the release of UC Berkeley’s study made some media waves. I’d love to share some really cool quotes from the UC Berkeley research team who worked tirelessly to produce the study, as well as from some of the media coverage. Fast Company: “The results . 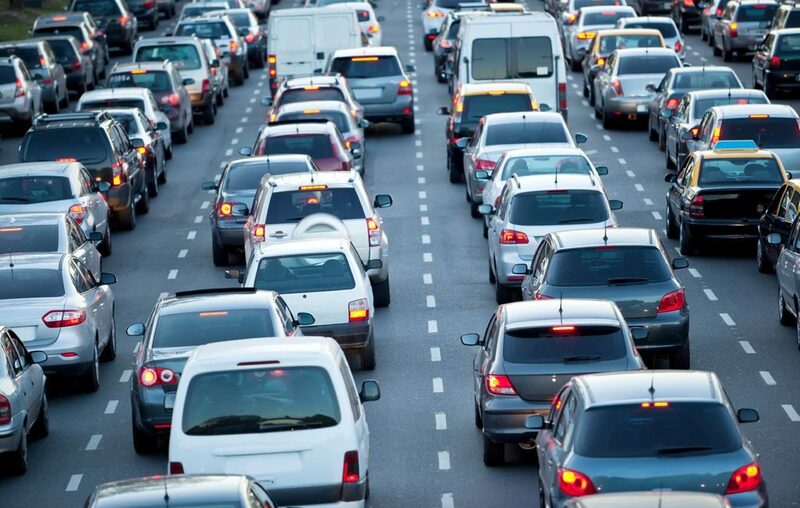 . . suggest that car2go one-way car sharing is substantively impacting travel behavior, miles driven, GHG emissions, and the number of vehicles on urban roads within operating regions,’ the study says. The Guardian: “Nearly 90% of Americans own cars, making the country a leader in traffic jams and pollution and costing the economy $124bn. I’d also like to thank the 9,500 car2go North America members who took the time to engage with the UC Berkeley research team as they set about their historic research. Way2go everyone! Have you given up a personal car or delayed purchasing one? How has car2go changed your mobility patterns? 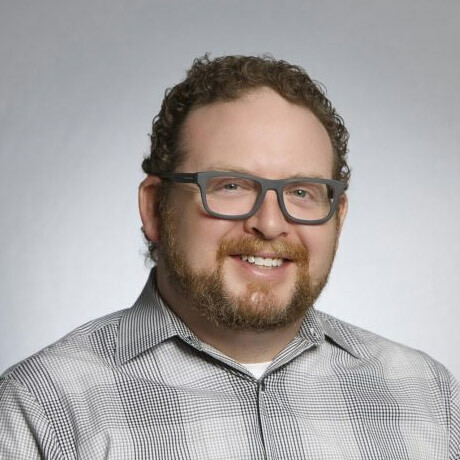 Communications Director for car2go NA. If it's got wheels and a motor, Mikey likes it. Almost 8,000 kilometers away, our American colleagues are snatching up car2go members now and then to get their stories. Never mind globalization – somehow, things are rather different over there. 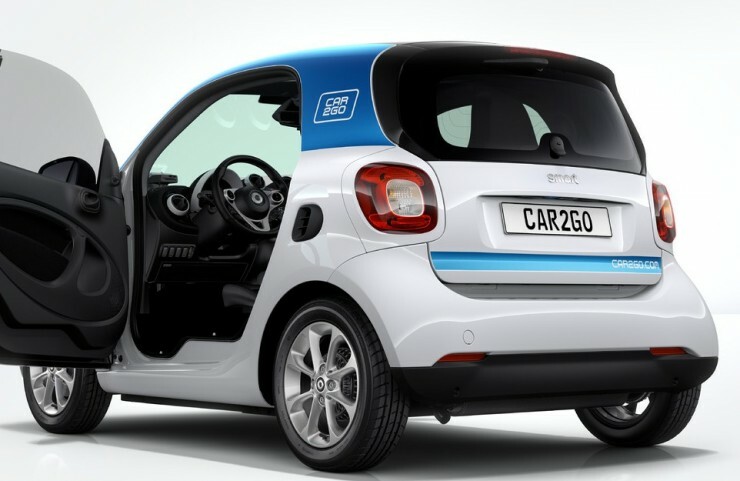 In our blog, we’ll introduce a few of these car2go members to you. 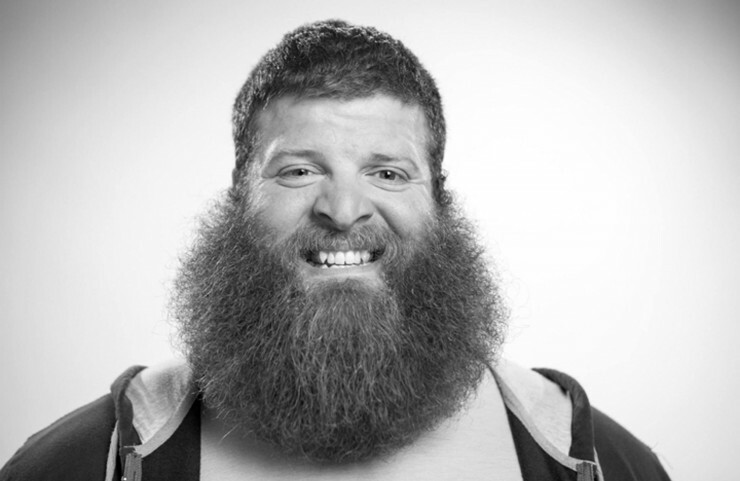 This time, it’s Andrew from Seattle’s turn – 1.95 meters tall and weighing 177 kilos. How could this bear of a man and our white and blue bubble car ever be friends? How does parking a car2go work? …and, of course, the answers to these. Many of the questions that keep popping up in online forums and e-mails are about parking and car2go. So we’d like to give you a few answers to your frequently asked questions here.